A novel that tracks the beautifully and complicated arc of a romantic partnership, from the author of On Love. Rabih and Kirsten are well-drawn, individualised characters, with distinct and separate backgrounds and personalities. But what’s interesting is De Botton’s decision to make their experience so thoroughly ordinary that their lives seem emblematic, their stories interchangeable with those of countless couples ... what propels us through the novel is not plot, but character, and De Botton’s meticulous examination of the emotions and behaviours that draw the couple together and nearly drive them apart ... Scattered throughout the narrative are italicised passages of essayistic contemplation on the nature of love, abstract reflections commenting on each new development, without mentioning the characters by name. These musings are clever, their tone a mixture of irony and sincerity. But they can border on sententiousness...If we eventually find ourselves skimming such sections, it’s less a critique of De Botton’s novel than a testament to his ability to so involve us in the fates of his endearing couple that we resent any interruptions, and hurry along to learn more about the love story that likely mirrors our own and that of so many others we know. ...love is the subject best suited to his obsessive aphorizing, and in this novel he again shows off his ability to pin our hopes, methods and insecurities to the page ... Kirsten and Rabih feel real enough, but they’re primarily inventions that allow for Mr. de Botton’s discourse on what it means to stay together over time. He pithily covers our continual need to re-establish that we’re wanted, the dangers of sharing the contents of our sexual imagination and dozens of other subcategories. 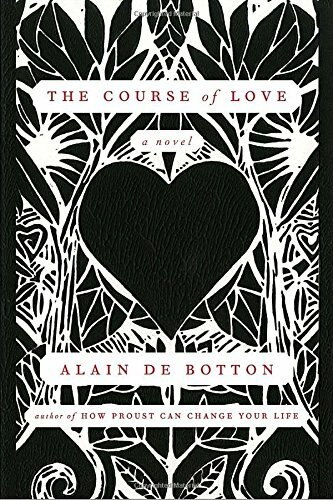 Half his lifetime and more than a dozen nonfiction titles later, this followup [to On Love about the 14-year rocky road to romantic reality of a couple living in Edinburgh reveals the constancy of de Botton's concern with the arc of relationships. But it also exposes the direction his work has taken — toward the ever more didactic. More of a case study than a novel, this is a course devised to teach readers how to navigate the pitfalls of romantic attachments ... He analyzes Rabih's feelings, especially, with the finesse of a therapist — and in fact there is more than a whiff of the couch in this exemplary tale. 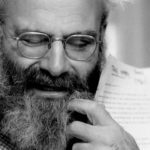 Breaking up his already distant third person narrative — often frustratingly — is a running, italicized commentary about love, which veers between the pointed and the pedantic ... Overall, The Course of Love lacks the playful charm and wit of On Love, but it isn't a total downer, nor as off-the-wall as de Botton's last book, Religion for Atheists. Readers looking for insights and guidance will find plenty in his espousal of attachment theory therapy. What did you think of The Course of Love?